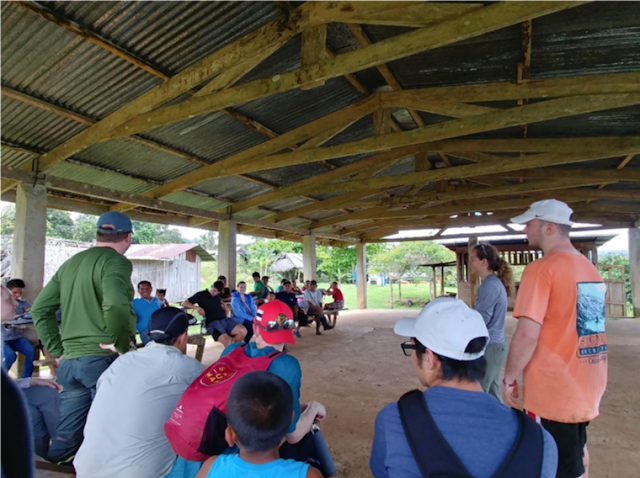 Global Seminars: Day 4: Water testing in new locations, a deserted island, and baseball! Day 4: Water testing in new locations, a deserted island, and baseball! Today we headed by boat to Buena Esparanza. This location had land owners as well as community leaders that both seemed to be decision makers. There was also a healer in this community who was able to cure venomous snake bites from local snakes. 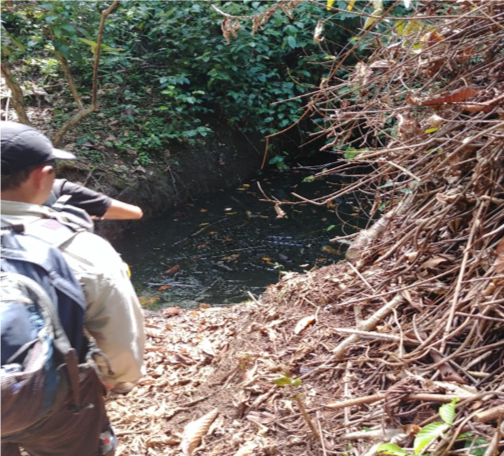 We followed the owner of the land to a natural spring that is used during droughts that was about a half kilometer from the center of the community, and then also analyzed the water from a nearby well and the nearby rain catchment systems. From here we went to Zapatilla 2, which is an island without local inhabitants. A few of us went to sample water from a reservoir made in the 1930’s. This incorporated a few tests and a small sample. After we left Zapatilla, we island-hopped over to Salt Creek, an inlet on Bastimientos that is home to an indigenous community. 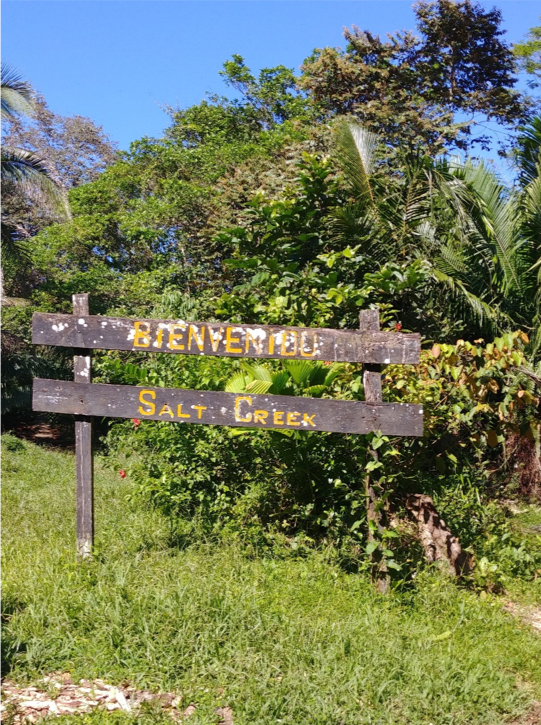 Upon arrival through the mangroves of the creek, we set out to find a local school that drew water from a rain catchment system nearby to a faucet. We tested water at this spigot to see the conditions of the water the children and teachers would drink. Our final spot to test water was a bit further into the village. We were led past a big field in which kids were playing Panama’s national pastime, baseball. The destination was a house in which a pitcher with a little bit of reservoir water. We took a small sample and tested for conductivity and pH as there was not enough for bacteriological or turbidity testing. Luke G. and Joel S.